Kauai Meditation, Chanting, Inspiring words and a light vegan dinner hosted by OMline Ashram. 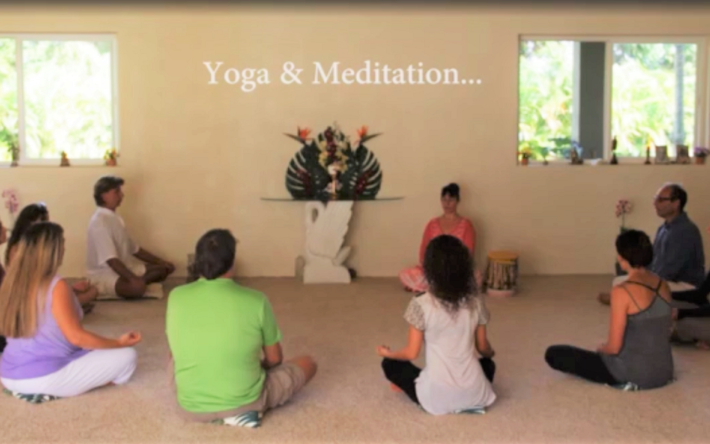 Kauai Health and Spiritual Training Center. Every Sunday at 6 pm. Please arrive early as Silent meditation begins on time. Children are welcome. If you have small children you are welcome to enjoy the garden and the outdoor living room until chanting begins. Children of all ages are welcome for the chanting, talk, and dinner.